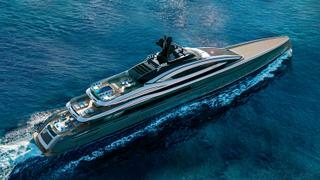 Hydro Tec's largest superyacht concept, the 100 metre Crossbow, has been taken on by ISA Yachts. 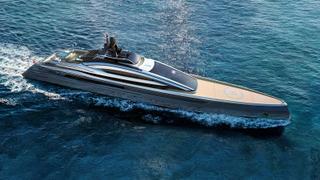 Crossbow will now be presented as the flagship of the ISA Yachts Sport Coupé line. Based on an aluminium hull and superstructure, the arrow-like design has a beam of just 12.5 metres — more than a metre less than average for this size bracket and has a "fast, light and with a sleek sporty aesthetic". The draft has been kept to just 3.5 metres to ensure Crossbow can reach cruising grounds that would normally be off-limits for yachts of this size. The studio said the exterior deck areas have been designed with "speed in mind". Fixed furniture has been kept light and well protected from the wind. 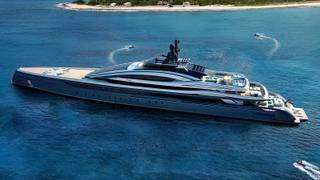 The bow meanwhile can be transformed into an entertaining and sunbathing area when the boat is at anchor. 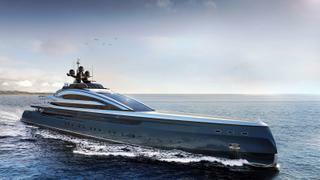 "After the Monaco Yacht Show this year we received even more interest to develop new designs based on the core principles of project Crossbow," the studio said.